Carsten Altena, pleased to meet you! 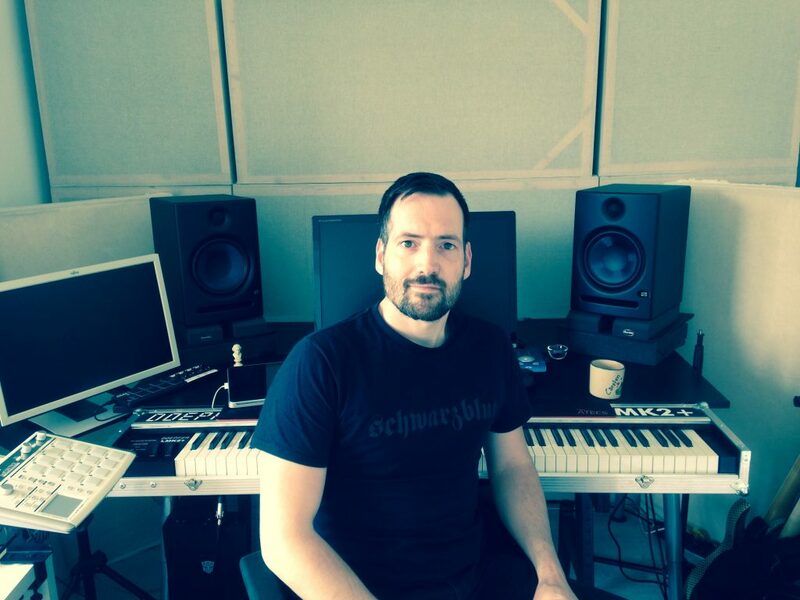 I’m a Dutch composer, arranger, keyboardist and guitarist. For more information on my services, check out my homepage. I’ve been making music since I was a young teen in early ’90s; first on organ, later on my Amiga computers, synths and samplers. In my late teens I discovered grunge rock and metal and so I picked up the guitar. This led me to listen to the great guitar gods such as Steve Vai and Satriani, who in turn opened the world of Frank Zappa, jazz, prog rock and classical for me. In my early 20’s I got interested again in synths and samplers and this got me into electronic music, epic music and film scores as well. One of the things that have always intrigued me since my Amiga days was the ability to recreate any sound on machines, especially orchestral instruments. To me, the computer is an expressive musical instrument, and it is almost like a “game” to sound as authentic and real as possible. First on samplers and synths, then Gigastudio and finally Kontakt and VSL instruments. I came to realize that the biggest part of sounding “real” lies in understanding how to idiomatically write for instruments and orchestration. Having the best virtual instruments is simply not enough, and so I studied many orchestration books and scores and developed various technical techniques and tricks. I am primarily self-taught, apart from a couple of years of organ lessons, a few months of jazz guitar lessons and couple of online courses such as the ones offered by Berklee and Alexander Publishing. As an artist I’ve been recording and touring, first as guitar player in thrash metal band Izegrim and later as keyboard player and guitarist in the industrial death metal band The Monolith Deathcult. I love the stage, let the crowd have a good time, meet fans and get in touch with other great bands, artists and producers. Through my bands I’ve met lots of great people in the music industry, from artists to producers who have requested my service as keyboardist, guitarist or string arranger. About 10 years ago I started doing session work as a keyboardist and guitarist, music composition and string arrangements as the “One Man Orchestra”. I feel proud to have worked for top artists and bands, in many genres such as Sinister, Miss Montreal, Urfaust, Van Dik Hout, Schwarzblut, Katla and many more. I’m not a real gear head, but I’ve owned quite a bit of hardware (couple of Korg Tritons, a MicroKorg, Kawai synths, a Roland sampler and drum machine, all kinds of midi controllers, loads of guitar rack gear, pedals and amps and guitars) which I’ve sold (most of it anyway) to go “minimal” and do all my work “in the box”. I used to be a Mac user but switched to Windows 10 recently and loving it. I’ve built a nice PC which I affectionately call “Teletraan V” (inspired by Transformers). It’s an i7 system stuffed with SSD’s and RAM and it’s capable of running everything I throw at it quite smoothly. No need for a separate slave PC anymore! My MIDI controllers are: a Doepfer LMK2+ 88 weighted keys, a Korg PadKontrol for drum programming, an iPad 1 running TouchOSC to control my orchestral libraries, an Akai LPD8 for extra knobs and pads and a 32 key Korg MicroKey for really fast synth action. My audio interface is an RME Babyface, hooked up to Presonus Eris E8 monitor speakers. The audio interface is mainly for playback of VST’s although I do record guitars sometimes (mainly Ibanez guitars) and have a bunch of dynamic and condenser mics in case I need to record acoustic instruments such as strings, acoustic guitars, small percussion and vocals in my project studio. For bigger recording sessions my studio is too small, in those cases I like to go to dedicated recording studios such as Giesound. Even in the box I like things minimal and focus on getting to know a handful of great plugins and software tools really well. Of course Kontakt for sample libraries (Spitfire Audio, Embertone, Impact Soundworks, Soundiron, although most of my orchestral samples are by VSL using Vienna Instruments Pro. Most of my FX plugins are by the wonderful DDMF. I also love my reverbs which are mainly by Valhalla DSP. After using many DAWs (Cakewalk/SONAR, Cubase, Studio One, Digital Performer, Logic Pro) I finally found my DAW of choice: Reaper, although I do work in Cubase sometimes. For notation I like to use Presonus Notion.